In this demo world, I put a panel that shows world names. You can jump to these world by touching it. 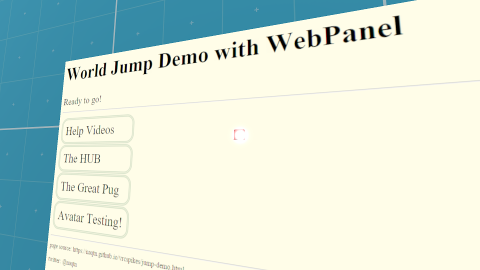 World name list is written in jump-demo.js . I mean these are not build-in demo world. So, we can create some dynamic hub world system by this way.